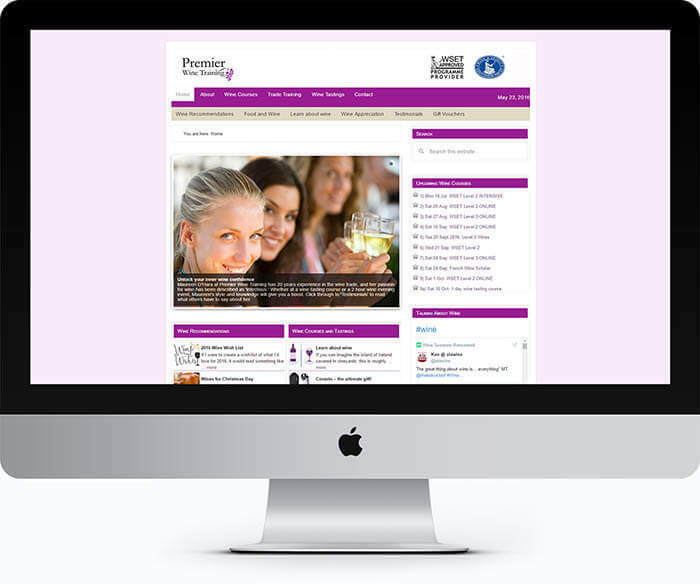 Premier Wine Training is Dublin’s best known & leading wine training companies. The basic requirements for the web design were that it should look professional yet friendly. That it would be easy to update & organise posts and that it would be easy for visitors to access details about upcoming courses and book the online.